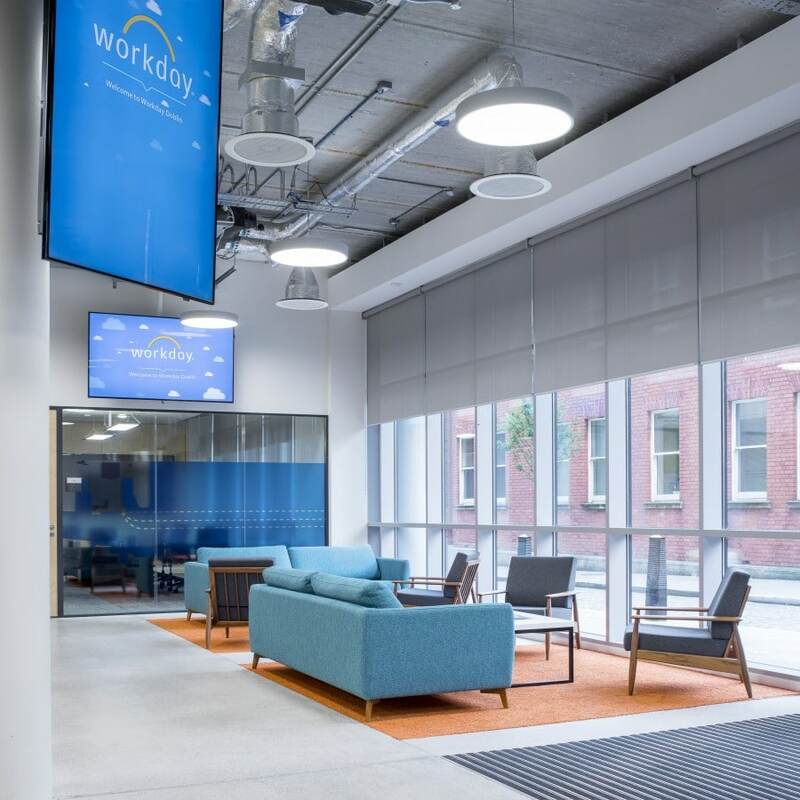 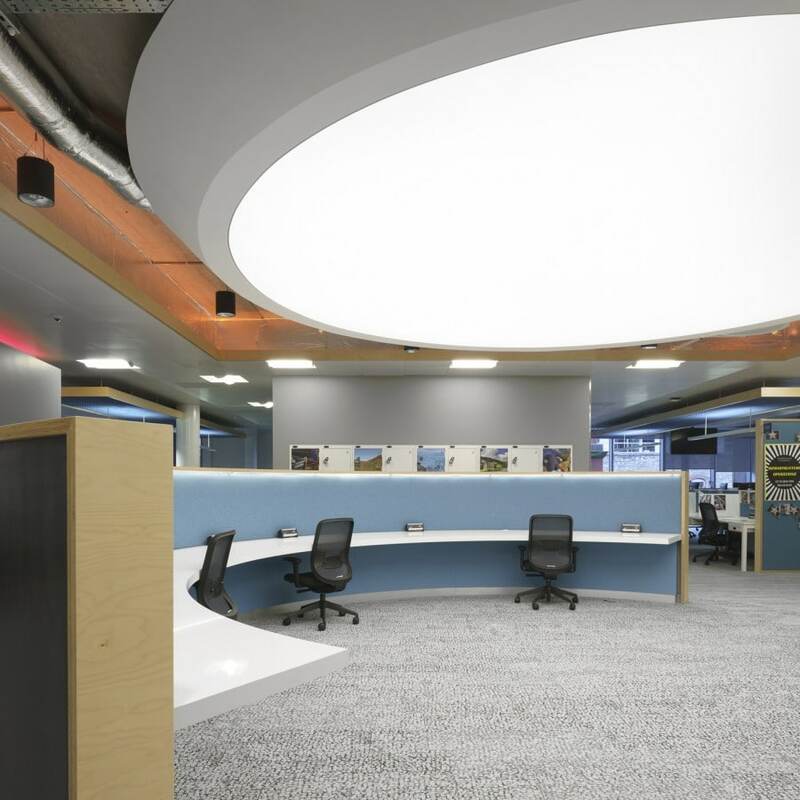 Full Ground Floor fit out of Workday Customer Experience are in Workday HQ, Smithfield. 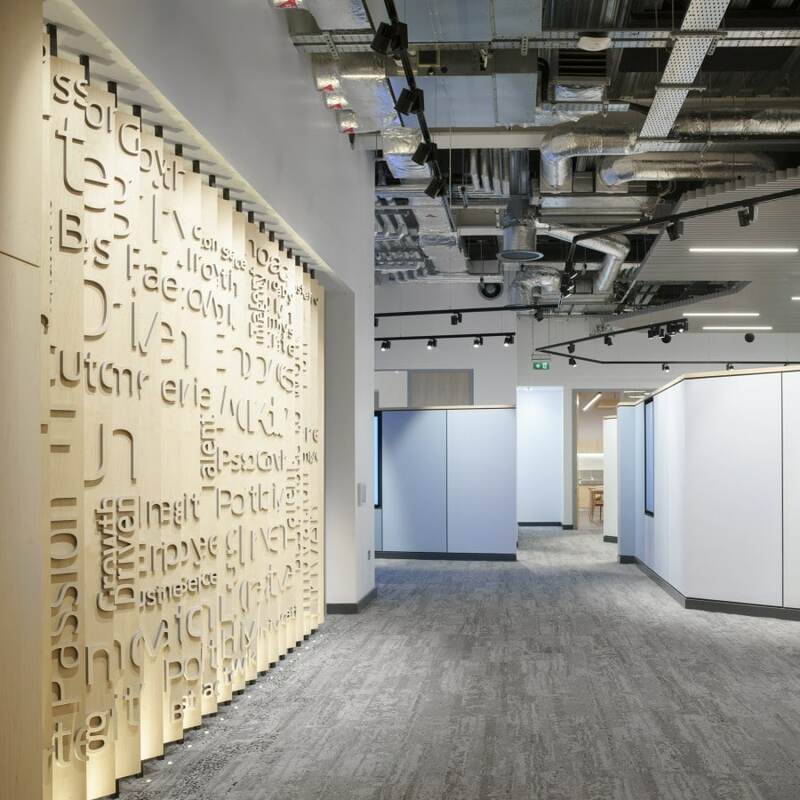 Key feature of this fit out was the large blade wall with 3D lettering which captures Workday’s key ideas and thinking, this was all structurally supported with hidden steel work and the fins were made from maple veneered MDF, all 300 letters were selectively cut in our CNC process with concealed fixings which lined up with matching holes on the fins for very quick fixing. 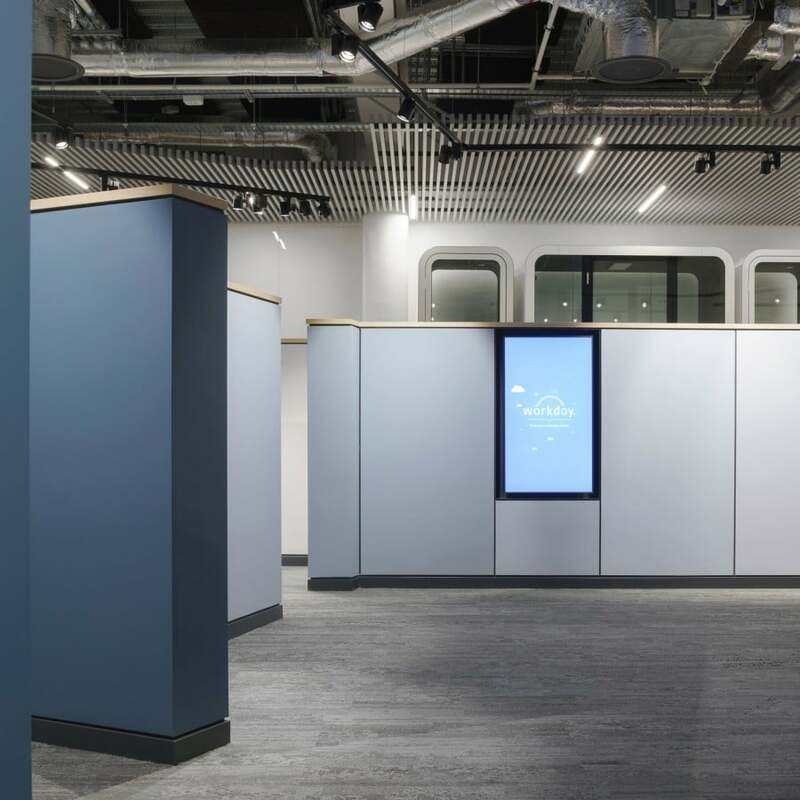 The letters themselves are dark grey valchromat with a maple veneer, all finished in with a Euro Class B Fire rated lacquer finish.